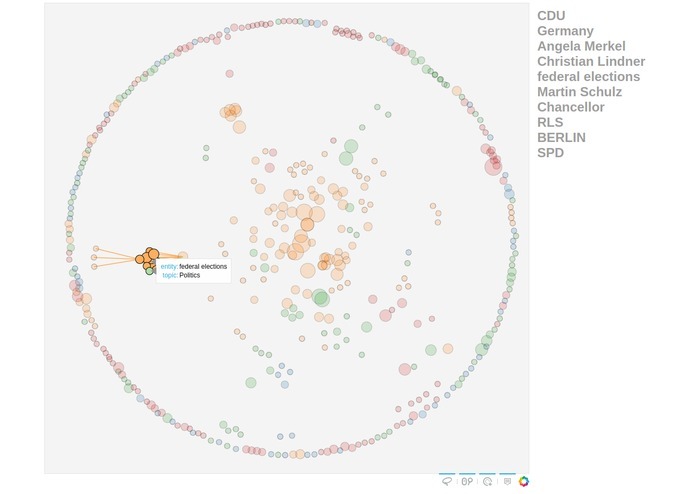 We take news articles from the Reuter's group, identify trending entities and visualize them as a network of nodes. 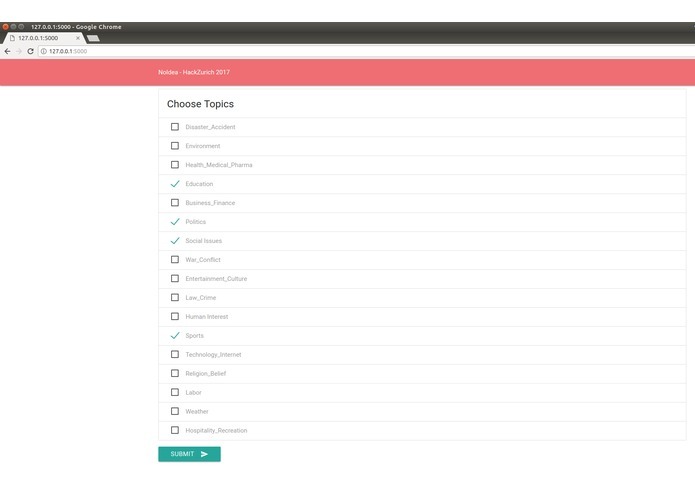 The visualization is interactive and provides the user the opportunity to find out more about recently important topics and their relationships. It works beautifully and even reveals links that one would not have expected easily! 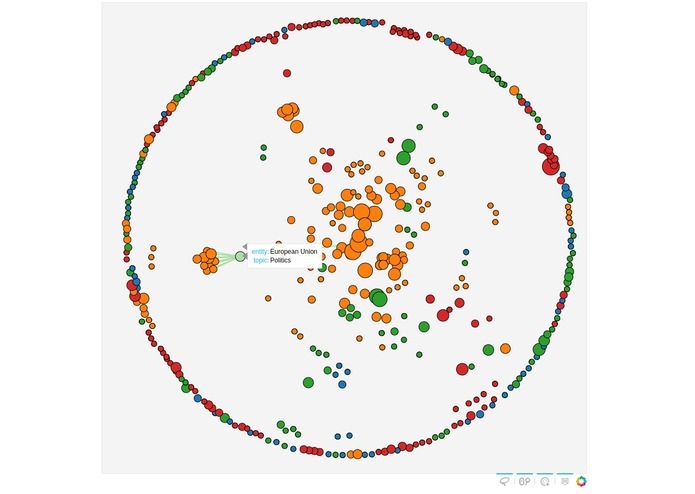 Each node represents an entity like a Person, Country or Company. 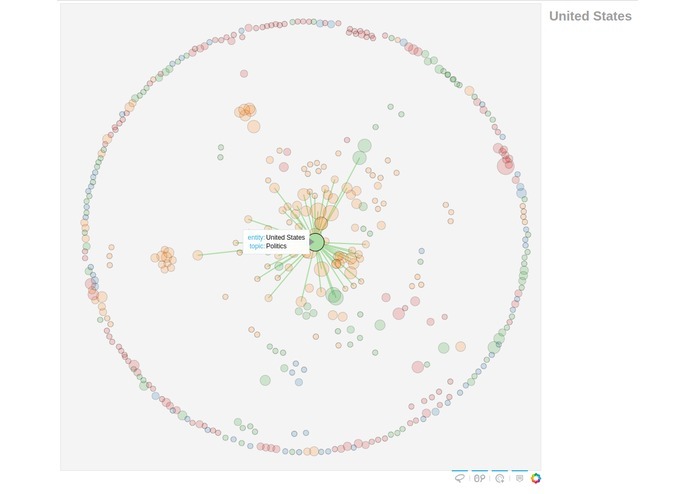 The size of the nodes is proportional to how often they made relevant appearances in news articles recently. The closer two nodes are, the more often they occurred together.